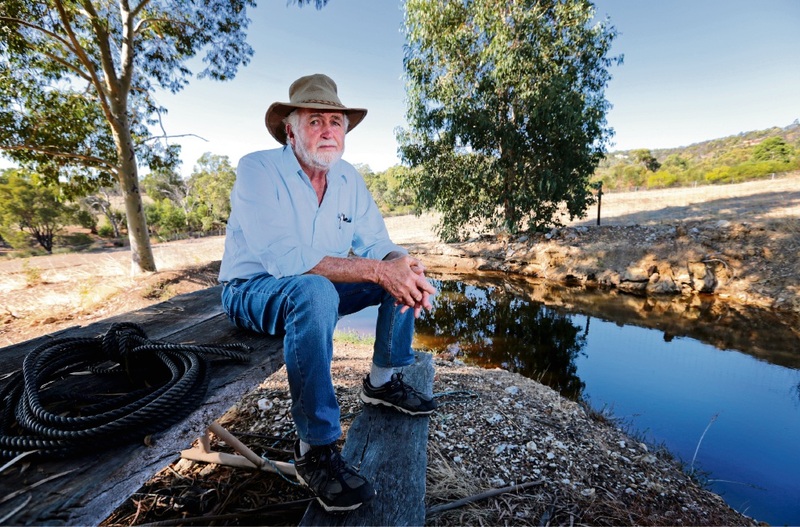 A MILLENDON resident is fighting the National Broadband Network (NBN) and City of Swan to stop a telecommunications tower from being built behind his property. David Hughes, who has lived on the property for more than 40 years, said he had concerns the proposal for a 40m radio transmission tower would affect his land value, health and way of life. The veteran recently built a dam at the bottom of his property and had plans to build a smaller house for himself and tourist chalets for his retirement. He said if the tower proposal was approved by council, his plans would be ruined. “This proposal could risk my health,” he said. “Why aren’t they taking that into account? “Who is going to buy a property with a big tower in their line of vision? “The main thing that worries me is no one cares about the land owners who will be affected once this is built. There are no rights for us. Out of 13 submissions received by the City of Swan regarding the proposal, 12 were objections, with concerns that the current location was not appropriate. Mr Hughes said the NBN Co had come to him first and offered him $200,000 to put the tower on his property, but he refused and they approached his neighbour. It is not the first time Mr Hughes has had his way of life threatened after a fire swept through his property in 2011, damaging some of his infrastructure and killing some of his pets. He said following the fire, he decided he would build a smaller house for himself near his damn to enjoy the view of the Hills. He said that view would now be destroyed by this telecommunications tower. He suggested land in Wandoo Heights gifted to the City of Swan or co-location with the City of Swan tower on Weir Road. “The whole area is a tourism attraction, so why would we put towers here,” he said. NBN spokeswoman Ebony Aitken said the company had undergone a thorough investigation to determine a preferred site. “The site on Hardwick Road, Millendon was selected based on its location, compliance with local and state planning regulations, access to power and quality coverage for premises in the vicinity,” she said. The City of Swan Council will vote tonight on the proposal.